Credo Reference - Credo Reference contains content from hundreds of reference books covering every major subject. There are over 2 million entries, 65,000+ images (art, diagrams, interactive maps and photos), and over 93,000 audio pronunciation files. Ebrary Ebooks - Our newest ebook collection. Currently this collection contains a little more than 100 ebooks and is quickly growing. The ebrary ebook reader allows students to make notes, and highlight their books. EBSCO Ebooks - Digital versions of books from a broad range of subject areas and topics. 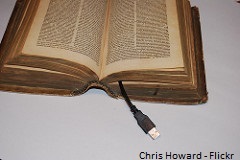 Electronic full-text copies of published print material, such as reference books, scholarly monographs, fiction, and nonfiction books. Update (January 2015) Over 160,000 new titles have been added to the Ebsco ebook collection. Gale Virtual Reference Library - Gale Virtual Reference Library offers an online collection of premier reference eBooks including encyclopedias and specialized reference sources for multidisciplinary research. Springer Ebooks - Over 75,000 titles covering Biomedicine, Environmental Sciences, Life Sciences, Mathematics, Chemistry, Philosophy, Materials Science, Medicine and more. All non-preview ebooks are fully downloadable.